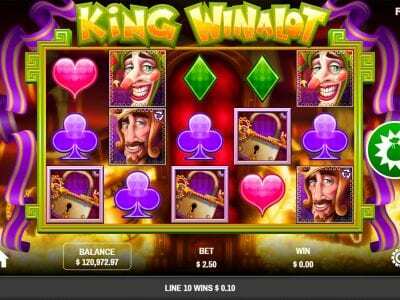 Welcome to the King Winalot Slots Reviews. In this review, we are going to tell you the pros and the cons of playing this online slot machine with real money. First of all, Rival gaming powers this five reel video slot machine with twenty pay lines. if you like watching or reading about the Royal Family or the “Royals”, you may like this game. In contrast, it has a Middle Ages theme and the graphics are not that impressive. Having said that, you may like the idea of the splendor and riches of a royal family. Overall, The King Winalot slot machine is a decent game. To be upfront, it is not the best title that Rival releases. However, it gains popularity over the past few months. 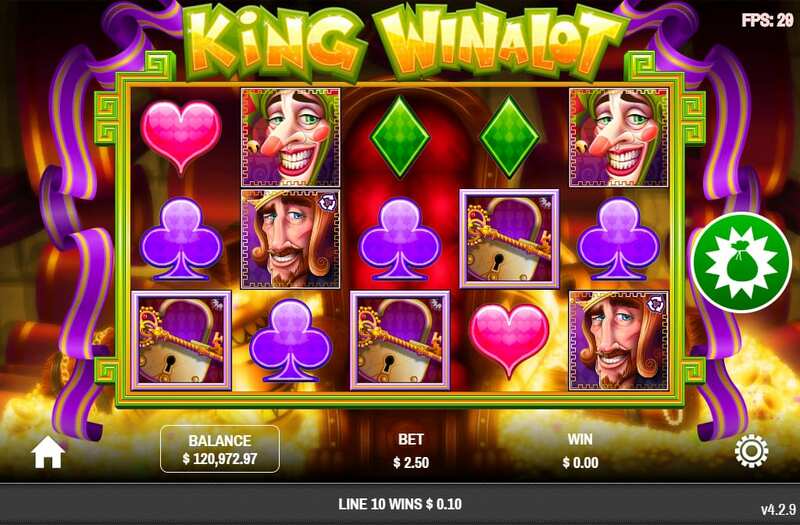 Ultimately, King Winalot doesn’t offer animated graphics. However, it does have a King’s Chest Pick’Em Bonus for its special features. After all, the symbols on the reels are about the Royal Family. However, King Winalot still lacks the cinematic graphics Rival has made in the past. Interestingly, Rival does a good job in the animations along with the sound effects. Whenever you trigger an animated win, you will hear a triumphant sound effect. Having said that, the symbols you will see on the reels are typical poker playing card symbols like Clubs, Diamonds, Queen, Spades, and Hearts. Additionally, you may land King Winalot, Prince, Princess, Jester, and the Key and Lock icons. Ultimately, these symbols are the highest paying icons. Also, take a look at Slots Capital Free Spins Bonus for Rival’s New King Winalot Slots. Even if you score three of a kind of poker playing cards, you still win. However, the bigger wins come from symbols other than the diamonds, hearts, clubs, and spades. Furthermore, King Winalot, a jester, prince, and the princess are the highest paying symbols in the game. Additionally, the king is wild. Once you land the king wild, he will replace all other icons to form a winning combination. However, we will not substitute for the lock & key. If the King wild doesn’t replace the Lock And Key, what is it there for? Well, it is the scatter and it is “Key” to triggering the King’s Chest Pick’Em Bonus rounds. In King Winalot, the bonus game has a few parts. First of all, you will go with King’s Chest Pick’em into a chamber. Take notice to the gold and treasure chests that fill this chamber. Once you get there, you will choose from the prizes. After that, the game reveals your prizes. Moreover, these prizes include free credits and spins.